You are here: Home / BLOG / Do not hate people; hate hatred. Do not hate people; hate hatred. Do not look down on others; lift them up. Don’t search for attributes that make people different; find the commonality. 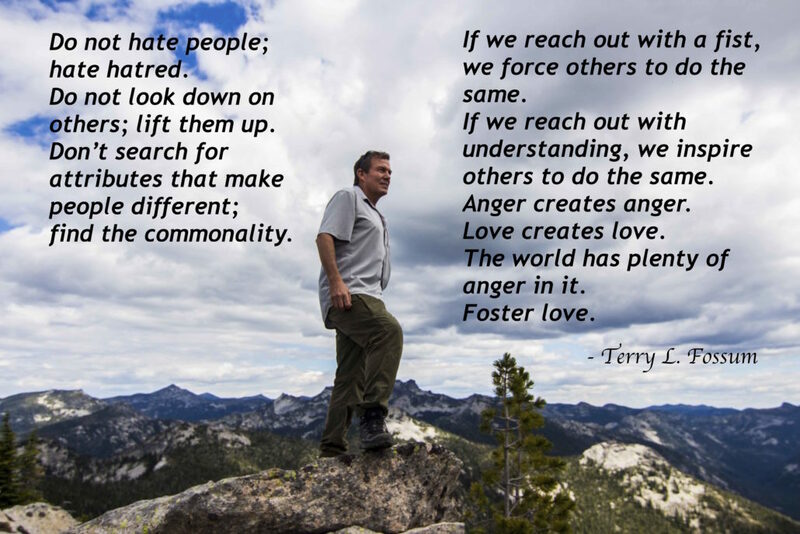 If we reach out with a fist, we force others to do the same. If we reach out with understanding, we inspire others to do the same. The world has plenty of anger in it. 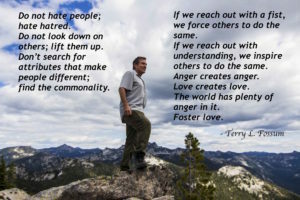 https://terrylfossum.com/wp-content/uploads/2017/01/Terry-Fossum-Foster-Love.jpg 3456 5184 Terry https://terrylfossum.com/wp-content/uploads/2016/09/TerryLogo_02.2_350x280-300x240.png Terry2017-01-23 18:15:502017-02-10 18:26:08Do not hate people; hate hatred.